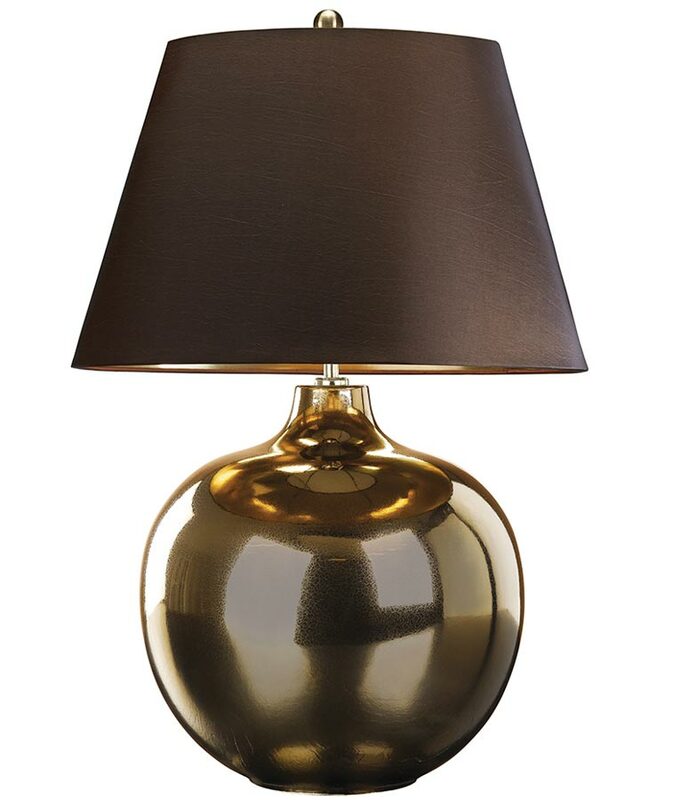 The Elstead Ottoman 1 light bronze ceramic table lamp with brown shade features a metallic crackle glazed vase body, faux silk 18″ gold lined hard-backed shade and polished nickel metalwork. Fitted with a convenient inline cable switch. A classic country ceramic table lamp that looks great in traditional, rustic or modern rooms.